today is world aids day - hopefully, a day of both reflection and action. although the situation has improved in some countries - in many parts of the world and among many marginalized groups, aids is still a death sentence and is still out of control. as a world community we have the knowledge to make great strides toward making hiv infection no longer be a death sentence, but the gap between knowledge and action is great. the gap can be reduced with vision, will and the proper and equitable distribution of resources. the situation can improve if everyone joins together to do something - and there is no action that is too small. even becoming to an educated and informed citizen is a form of action; so no need to feel helpless even if you are unable to contribute funds or your time to the cause, you can always contribute your mind! if you are looking for connecting with others to help in the fight against aids, contact your local aids network or visit one of the world aids day websites - some include: the federal (us) aids site, the cdc world aids day site, and the uk world aids day home. the fight against aids needs to be waged each day - as i've been known to say about earth day, the same sentiment goes for world aids day - let's make every day world aids day. tomorrow i plan to visit the panels of the aids memorial quilt which are visiting cleveland at the cleveland institute of art. 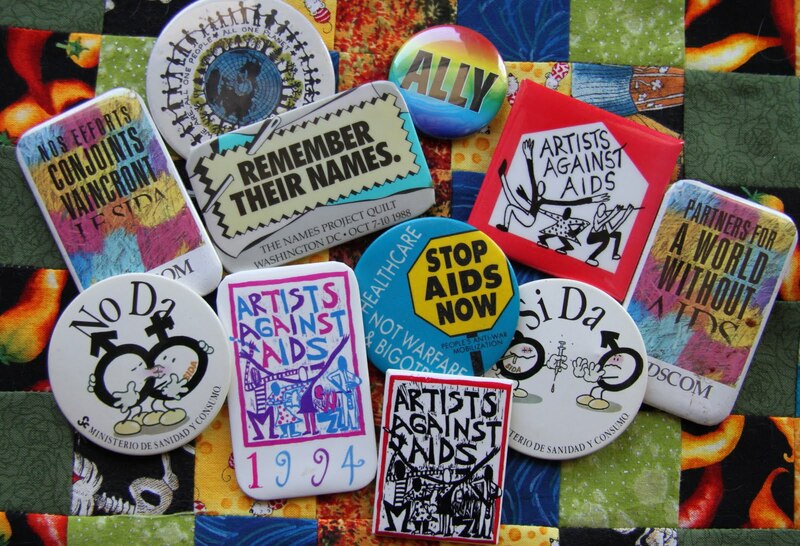 next week i hope to check out the panels that are currently being assembled to honor and memorialize local individuals who have died of aids when they are to be shared at the closing reception for the visiting panels. visiting the quilt or seeing panels is always a very powerful experience. 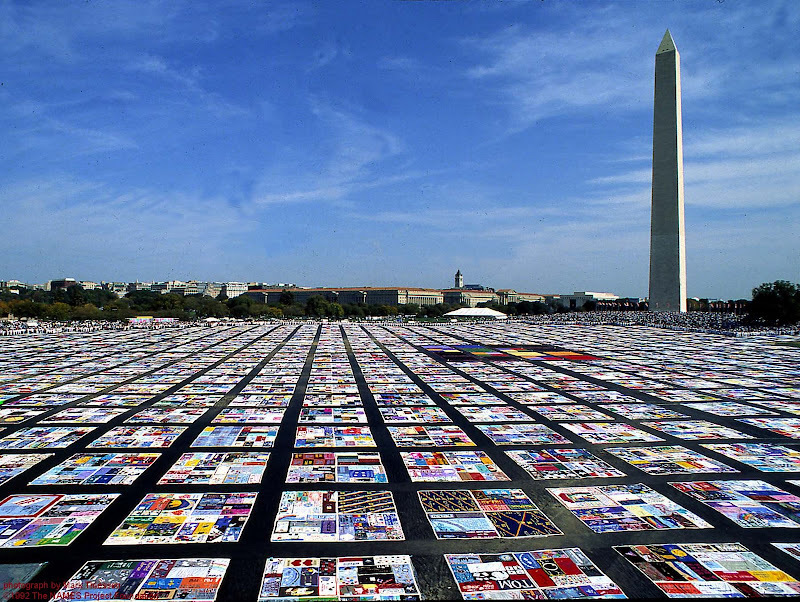 the first time i saw the quilt was in 1988 in washington d.c; i visited dc again in 1996 to see the entire quilt, which most likely was the last time the quilt was displayed in its entirety. it is staggering to think of the number of aids deaths in the last 30 years according to avert, an international organization working to on behalf averting hiv/aids, nearly 30 million people have died worldwide due to aids related causes. an all star tribute recording of the what's going on provides the soundtrack to an educational slide show on the world aids crisis. Amazing! and not in a good way. Hi kimy! Beautiful images illustrating the cause. I heard a great deal about today being World AIDS Day...a far cry from many years ago when nobody wanted to speak of it. President Obama's speech today was heartening.